Tenun Ikat, A Souvenir From Sikka.. 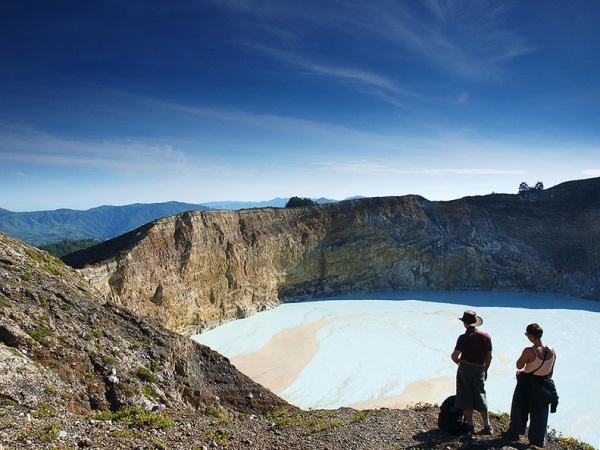 In addition to its natural beauty, Flores also attracts people to visit with its cultural variety & diversity. 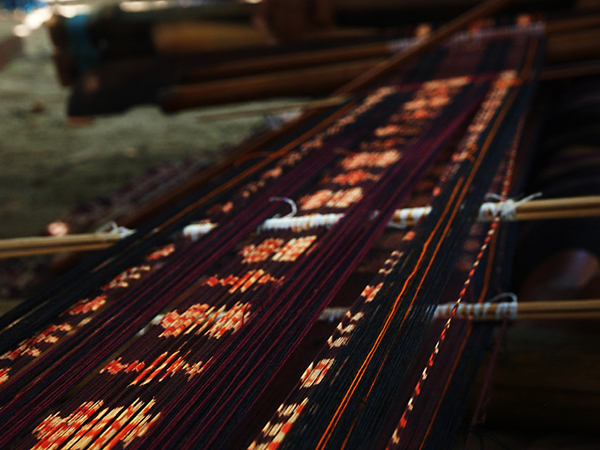 And Ikat, a hand-woven fabric, is one of the icons of Flores cultural treasure. This traditional work of art can be found in several regions in this island that become the production center of the fabrics that require persistence and patience in the production process. Maumere, Sikka, Ende, Ngada, Lio, Larantuka and Lembata to name some of them. Each region has its distinct character, respectively, of the motifs, patterns and colors of the ikat fabrics produced. A reflection of the ethnic diversity, customs and daily lifes of Flores island. 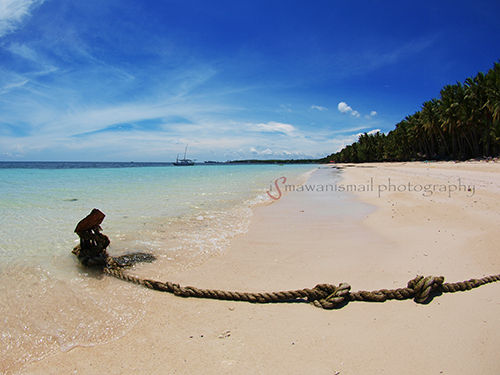 Tanjung Bira Beach, Bulukumba, South Sulawesi.. 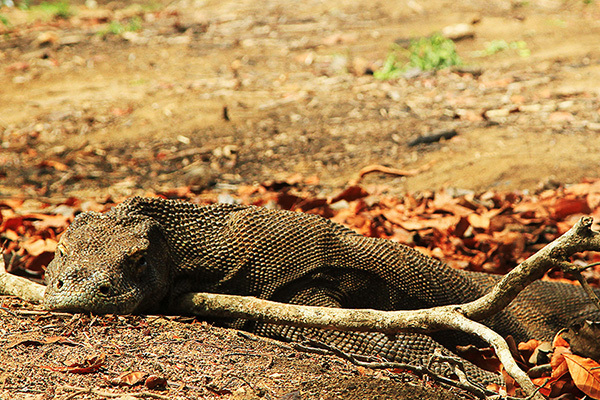 Although the main purpose of our Komodo trip was a diving trip, it would still feel not complete if we didn’t visit the Komodo National Park, watching and observing these endangered creatures in their natural habitat. We’ve already made a long trip all the way here. It would have been a loss if we didn’t stop by, especially for some of us who were first-timers going to this Komodo region. So, on the last day of the trip we only did two dives in the morning and right after lunch MV Tarata sailed towards Loh Buaya, one of the ranger station locations on Rinca Island.. The waves tossed around the rubber boat that took the six of us to the dive point. Doubt and hesitant started to emerge, but the flowing adrenaline then overtook, as we were expecting to meet one of the most beautiful marine creatures. And we didn’t have to wait for long at all. As soon as we back-rolled from the boat and started to dive, we were immediately greeted by one, two, three, four of 2-3 meters wide manta rays. 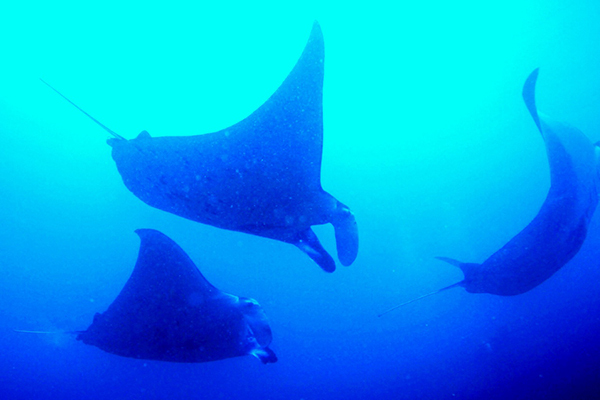 We continued to descent to 27 meters depth, and more manta rays appeared. The healthy coral reefs around us with all its occupants were momentarily forgotten as we enjoyed the beautiful performance of dozens of manta rays that come and say hello. Komodo archipelago waters was really spoiling us.. The Xian MA60 turbo-prop aircraft that we are in descends and makes a slightly awkward approach toward landing at Frans Seda airport, touches the runway, bumps twice, and finally rolling smoothly on the runway as it slows down and heads to the apron. All passengers breathe with relief and applaud, loosen the tension off after such landing sequence. Quite a thrilling experience 😀 But anyway, here we are, at Maumere. Ready for another trip to explore the place where we haven’t been there before. It’s still a half of the journey, as we prepare for the next 3-hours land ride to Moni where we are going to stay. Kelimutu, here we come..!